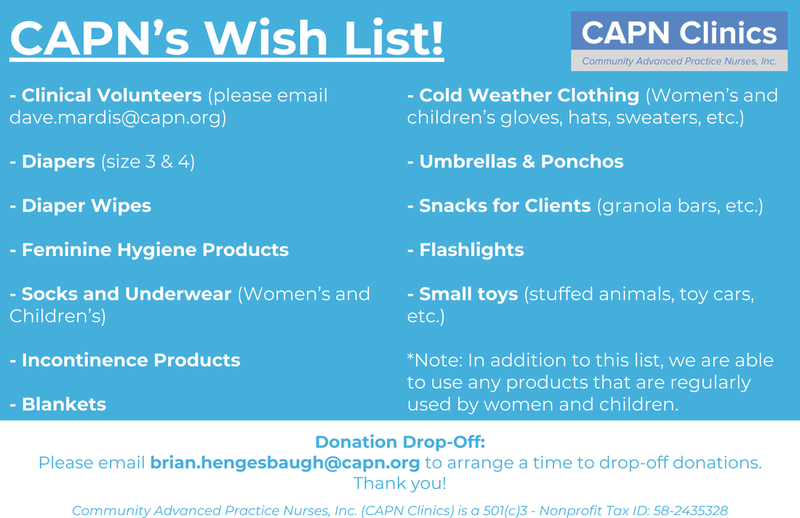 CAPN Clinics: Healthy Independence - CAPN Clinics - Community Advanced Practice Nurses, Inc. Your gift provides care and improves lives! Donate to CAPN's GA Gives day! GA Gives Day is an annual fundraiser and CAPN's donation page is available year round!